NTSC remains a 60Hz standard, not a 30Hz standard. It encodes a ≈440×480 image (typically visible: ≈400×450) every 1/60th of a second, and throws away half the vertical resolution prior to transmission. Modern video capture equipment that throws away half of this data, or simply “weave”s two fields together ignoring that they’re of two different times separated 1/60th of a second apart, is doing everyone a disservice. Now, pedantry done, this is pretty darn cool. Knowing more about interlaced video than you is exactly why I commented. In older video tube based devices like this one, every scanline is from a different moment in time; approximately 1/16000th of a second later. There’s no frame store. Interlacing happens at the moment that the electrons are pulled off the sensor. Every 1/60th of a second, entirely different lines are pulled off from 1/60th of a second before. Claiming that this is a 30fps video source is simply and unequivocally wrong. There are new images every 16ms; they differ from the one 16ms before by being of a subtly different vertical offset. Claming there is a full image every 16.ms is wrong it is only halve a image NTSC has 29,97 frames a second or 59,94 fields a second, 30 and 60 is only with black and white. Mines? Well that’s come in handy for the upcoming apocalypse. It seems that (current) three-sensor HD cameras start at under $2500, with used older 3-sensor cameras at about 1/10th that. An array of cheap webcams later and you’ve got a high resolution version. A little minor surgery and you’ll have some limited infrared too. Perhaps go with nine or even sixteen cameras if you can stretch to processing the images fast enough. Shame there’s no easy way to etch off the colour masks on webcams so with a software tweek they would see really triple [quadruple] resolution black and white. 12MP now becomes 36/48. Crazy math to interlace pixels for the whole image verses interlacing images for each colour. Decisions, decisions. Apparently that’s been done too. Maybe might stumble on something awesome nobody has tired eventually. While I had originally had the same thought, upon further inspection, it would be very difficult to do this project that way. You couldn’t use the webcams as is; you would have to remove the lenses and then do the delicate work of removing the filters from the sensor itself. Assuming there is no special requirements for the digital sensors compared to the old analog sensors, it would be taking some extremely close up shots since they are much smaller than the original versions. This makes it even more complicated since any defects in the optics will be magnified. I actually think that the DOLPi-MECH version of the project is the superior version in spite of how slow it is. 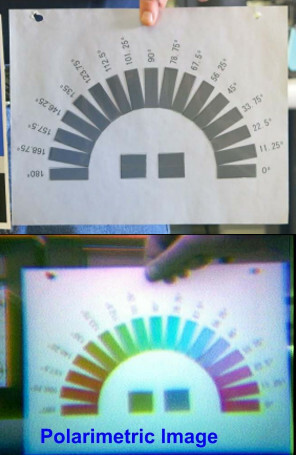 It could be improved by switching the servo-based mechanism to something similar to a DLP color wheel with variable speed control to allow it to take photos as fast as possible. Perhaps more exciting would be a mix of the two methods; use three complete camera modules, take the photos simultaneously, and stitch them together like modern smartphones do. It still wont’ be completely accurate, but it should be close enough. I think parallax problems may be annoying when using three separate cameras. Maybe one camera with a quickly rotating polarization filter in front of it? Likely requires a global shutter sensor for good results. There are old global shutter machine vision BW (color also, but more rare) cameras on ebay quite cheaply. These usually also have a frame strobe input or output for synchronizing a strobe or the wheel in this case.